Barbara Jordan emerged as an eloquent and powerful interpreter of the Watergate impeachment investigation at a time when many Americans despaired about the Constitution and the country. As one of the first African Americans elected from the Deep South since 1898 and the first black Congresswoman ever from that region, Jordan lent added weight to her message by her very presence on the House Judiciary Committee. Barbara Jordan’s political turning point occurred when she worked on the John F. Kennedy presidential campaign in 1960. She eventually helped manage a highly organized get–out–the–vote program that served Houston’s 40 African–American precincts. In 1962 and 1964, Jordan ran for the Texas house of representatives but lost both times, so in 1966 she ran for the Texas senate when court–enforced redistricting created a constituency that consisted largely of minority voters. Jordan won, defeating a white liberal and becoming the first African–American state senator in the U.S. since 1883 as well as the first black woman ever elected to that body.2 The other 30 (male, white) senators received her coolly, but Jordan won them over as an effective legislator who pushed through bills establishing the state’s first minimum wage law, antidiscrimination clauses in business contracts, and the Texas Fair Employment Practices Commission. On March 28, 1972, Jordan’s peers elected her president pro tempore of the Texas senate, making her the first black woman in America to preside over a legislative body. In seconding the nomination, one of Jordan’s male colleagues on the other side of the chamber stood, spread his arms open, and said, “What can I say? Black is beautiful.”3 One of Jordan’s responsibilities as president pro tempore was to serve as acting governor when the governor and lieutenant governor were out of the state. When Jordan filled that largely ceremonial role on June 10, 1972, she became the first black chief executive in the nation. Jordan also believed that an important committee assignment, one where she would be unique because of her gender and race, would magnify her influence. Thus, she disregarded suggestions that she accept a seat on the Education and Labor Committee, and used her connection with Texan Lyndon Johnson—she had been his guest at the White House during her time as a state legislator—to secure a plum committee assignment on the Judiciary Committee. Securing former President Johnson’s intercession with Wilbur Mills of Arkansas, the chairman of the Committee on Committees, she landed a seat on the Judiciary Committee, where she served for her three terms in the House. In the 94th and 95th Congresses (1975–1979), she was also assigned to the Committee on Government Operations. It was as a freshman Member of the Judiciary Committee, however, that Jordan earned national recognition. In the summer of 1974, as the committee considered articles of impeachment against President Richard M. Nixon for crimes associated with the Watergate scandal, Jordan delivered opening remarks that shook the committee room and the large television audience tuned in to the proceedings. “My faith in the Constitution is whole, it is complete, it is total,” Jordan said. “I am not going to sit here and be an idle spectator to the diminution, the subversion, the destruction of the Constitution.” She then explained the reasoning behind her support of each of the five articles of impeachment against President Nixon. In conclusion, Jordan said that if her fellow committee members did not find the evidence compelling enough, “then perhaps the eighteenth–century Constitution should be abandoned to a twentieth–century paper shredder.”9 Reaction to Jordan’s statement was overwhelming. Jordan recalled that people swarmed around her car after the hearings to congratulate her. Impressed by her articulate reasoning and her knowledge of the law, many people sent the Texas Representative letters of praise. One person even posted a message on a series of billboards in Houston: “Thank you, Barbara Jordan, for explaining the Constitution to us.”10 The Watergate impeachment hearings helped create Jordan’s reputation as a respected national politician. Jordan’s talent as a speaker continued to contribute to her national profile. In 1976, she became the first woman and the first African–American keynote speaker at a Democratic National Convention. Appearing after a subdued speech by Ohio Senator John Glenn, Jordan energized the convention with her oratory. “We are a people in search of a national community,” she told the delegates, “attempting to fulfill our national purpose, to create and sustain a society in which all of us are equal…. We cannot improve on the system of government, handed down to us by the founders of the Republic, but we can find new ways to implement that system and to realize our destiny.”12 Amid the historical perspective of the national bicentennial, and in the aftermath of the Vietnam War and Watergate, Jordan’s message, like her commanding voice, resonated with Americans. She campaigned widely for Democratic presidential candidate James Earl (Jimmy) Carter, who defeated President Ford in the general election. Though Carter later interviewed Jordan for a Cabinet position, he did not offer her the position of U.S. Attorney General, the one post she said she would accept. In 1978, downplaying reports about her poor health, Jordan declined to run for what would have been certain re–election to a fourth term, citing her “internal compass,” which she said was pointing her “away from demands that are all consuming.”13 She also said she wanted to work more directly on behalf of her fellow Texans. Jordan was appointed the Lyndon Johnson Chair in National Policy at the LBJ School of Public Affairs at the University of Texas in Austin, where she taught until the early 1990s. She continued to lecture widely on national affairs. In 1988 and 1992, she delivered speeches at the Democratic National Convention. Her 1992 keynote address was delivered from a wheelchair while she was in the midst of a lengthy battle with multiple sclerosis. In 1994, President William J. (Bill) Clinton appointed her to lead the Commission on Immigration Reform, a bipartisan group that delivered its findings in September of that year. Jordan received nearly two dozen honorary degrees and, in 1990, was named to the National Women’s Hall of Fame in Seneca, New York. She never married and carefully guarded her private life. Jordan died in Austin, Texas, on January 17, 1996, from pneumonia that was a complication of leukemia. 1For information on Jordan’s early life, see Barbara Jordan and Shelby Hearon, Barbara Jordan: A Self–Portrait (Garden City, NY: Doubleday,1979) and Mary Beth Rogers, Barbara Jordan: American Hero (NewYork: Bantam Books, 1998). 2Current Biography, 1993 (New York: H. W. Wilson and Company, 1993): 291; Rogers, Barbara Jordan. 3Richard Fenno, Going Home: Black Representatives and Their Constituents (Chicago, IL: University of Chicago Press): 106–109. 5“Election Statistics, 1920 to Present,” available at http://clerk.house.gov/member_info/electionInfo/index.aspx. 6Susan Tolchin, Women in Congress (Washington, DC: Government Printing Office, 1976): 96–97. 9Quotations from Barbara Jordan and Shelby Hearon, “Barbara Jordan: A Self–Portrait,” 7 January 1979, Washington Post: A1. 11Current Biography, 1993: 291. See also Tolchin, Women in Congress: 96–97. Oral History: 1984, 9 pages. An oral history interview of Barbara Jordan conducted by Roland C. Hayes on March 28, 1984. A transcript of the interview is available in the library and online. Papers: 1966-1996, 462 linear feet. The papers document the political and professional career of Barbara Jordan and are divided into State Senate Papers, U.S. House of Representatives Papers, and Personal Papers. The Texas State Senate papers document Barbara Jordan's campaign activities, bills passed in the State Senate, her Governor for a Day Honor, documents relating to her involvement with the Democratic National Convention, and documents relating to the Prairie View Voting Rights case. The U.S. Representative papers contain records on constituents, legislation, committees, office administration, and campaigns. Other records include personal correspondence, press/media files, appointment logs, schedules, invitations, arrangements, job recommendations, and appointments to political offices. Barbara Jordan's involvement with other Members of Congress is represented in the papers, as well as her involvement with the Democratic National Committee, and correspondence in reaction to her keynote speech at the 1976 Democratic Convention. A finding aid for the papers is available in the repository and online. Aghahowa, Brenda Eatman. "Grace Under Fire: The Rhetoric of Watergate and Patriotism, Barbara Jordan Style (Texas)." Ph.D. diss., University of Illinois at Chicago, 2004. "Barbara Charline Jordan" in Black Americans in Congress, 1870-2007. Prepared under the direction of the Committee on House Administration by the Office of History & Preservation, U.S. House of Representatives. Washington: Government Printing Office, 2008. "Barbara Charline Jordan" in Women in Congress, 1917-2006. Prepared under the direction of the Committee on House Administration by the Office of History & Preservation, U.S. House of Representatives. Washington: Government Printing Office, 2006. Blue, Rose, and Corinne Naden. Barbara Jordan. New York: Chelsea House, 1992. Bryant, Ira Babington. Barbara Charline Jordan: From the Ghetto to the Capital. Houston: D. Armstrong, 1977. Canas, Kathryn Anne. "Barbara Jordan, Shirley Chisholm, and Lani Guinier: Crafting Identification Through the Rhetorical Interbraiding of Value." Ph.D. diss., The University of Utah, 2002. Crawford, Ann Fears. Barbara Jordan: Breaking The Barriers. Houston, TX: Halcyon Press, 2003. Curtin, Mary Ellen, "Reaching for Power: Barbara C. Jordan and Liberals in the Texas Legislature, 1966-1972." The Southwestern Historical Quarterly, Vol. 108, No. 2 (October 2004): 210-31. Fenno, Richard F. Going Home: Black Representatives and Their Constituents. Chicago: University of Chicago Press, 2003. Green, Robert L. Barbara Jordan: Daring Black Leader. Milwaukee: Franklin, 1974. Haskins, James. Barbara Jordan. New York: Dial Press, 1977. Holmes, Barbara Ann. "Barbara Jordan's Speeches, 1974-1995: Ethics, Public Religion and Jurisprudence." Ph.D. diss., Vanderbilt University, 1998. ___. A Private Woman in Public Spaces: Barbara Jordan's Speeches on Ethics, Public Religion, and Law. Harrisburg, PA: Trinity Press International, 2000. Horwitz, Linda Diane. "Transforming Appearance into Rhetorical Argument: Rhetorical Criticism of Public Speeches of Barbara Jordan, Lucy Parsons, and Angela Y. Davis." Ph.D. diss., Northwestern University, 1998. Jacobs, Linda. Barbara Jordan: Keeping Faith. St. Paul: EMC Corp., 1978. 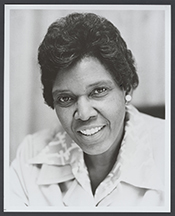 Jeffrey, Laura S. Barbara Jordan: Congresswoman, Lawyer, Educator. Springfield, N. J.: Enslow Publishers, 1997. Johnson, Linda Carlson. Barbara Jordan, Congresswoman. Woodbridge, CT: Blackbirch Press, 1990. Jordan, Barbara. Speaking the Truth With Eloquent Thunder. Edited by Max Sherman. Austin, TX: University of Texas Press, 2007. Jordan, Barbara, and Shelby Hearon. Barbara Jordan: A Self-Portrait. Garden City, NY: Doubleday, 1979. Kelin, Norman, and Sabra-Anne Kelin. Barbara Jordan. Los Angeles: Melrose Square Publishing Company, 1993. Kirk, Rita G. "Barbara Jordan: The Rise of a Black Woman Politician." M.A. thesis, University of Arkansas, 1978. McNair, Joseph D. Barbara Jordan: African American Politician. Chanhassen, MN: Child's World, 2001. Mendelsohn, James. Barbara Jordan: Getting Things Done. Brookfield, CT: Twenty-First Century Books, 2000. Rhodes, Lisa Renee. Barbara Jordan: Voice of Democracy. New York: Franklin Watts, 1998. Roberts, Naurice. Barbara Jordan: The Great Lady From Texas. Chicago, IL: Children's Press, 1984. Thompson, Wayne N. "Barbara Jordan's Keynote Address: The Juxtaposition of Contradictory Values." Southern Speech Communication Journal 44 (Spring 1979): 223-32.